Bitcoin Cash and other cryptos went down as the SEC delayed its Bitcoin ETF ruling. 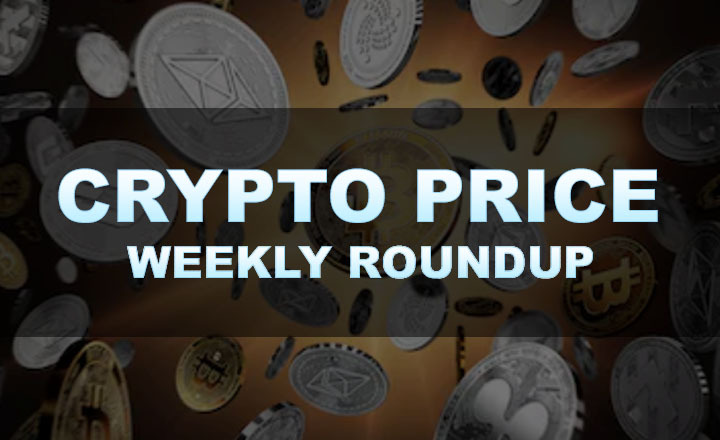 Know more about the news in Crypto Exchange August WK2 2018 Roundup. The cryptocurrency market ended this week in the mud once again as a state financial regulatory body has delayed its decision whether to approve a Bitcoin exchange-traded fund (ETF) proposal different from last month. Find out more what happened in the scene during the last five days in this Crypto Exchange August WK2 2018 Roundup. Early this week, the US Securities and Exchange Commission (SEC) announced that it has delayed by 45 days the decision to approve the listing of a VanEck-backed Bitcoin ETF. This came weeks after the Commission rejected the Gemini founders Cameron and Tyler Winklevoss’ own Bitcoin ETF proposal. Many crypto holders have shared online their anticipation of a yes vote from the SEC. However, respected experts in the field have stated that the Commission was more likely to move the decision to September 30 of the same year. Furthermore, they think that even by then the SEC will delay its decision by another 45 days. Analysts suggest that the Commission needs all the time it could have on its hands to study the emerging market before deciding on what could be a breakthrough ruling in both crypto and financial industries. The delay looked to have sparked panic among crypto owners, making them think that the digital currency market will never recover. It could have resulted to crypto prices tumbling down. 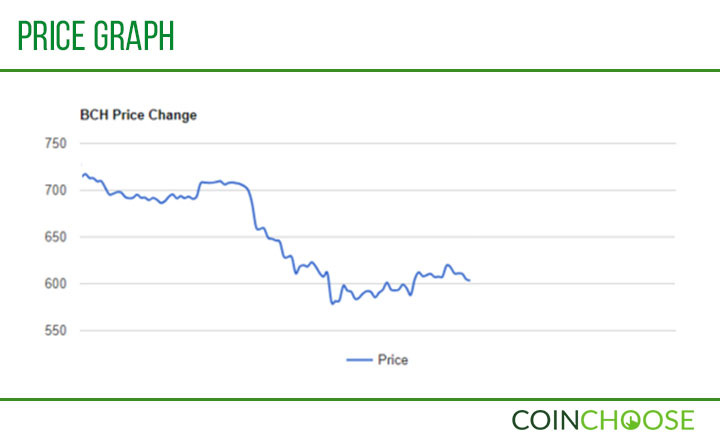 Bitcoin, the first and largest digital currency based on market capitalization, dropped from US$7112.99 to below the US$7,000 level at US$6226.62 on August 9. 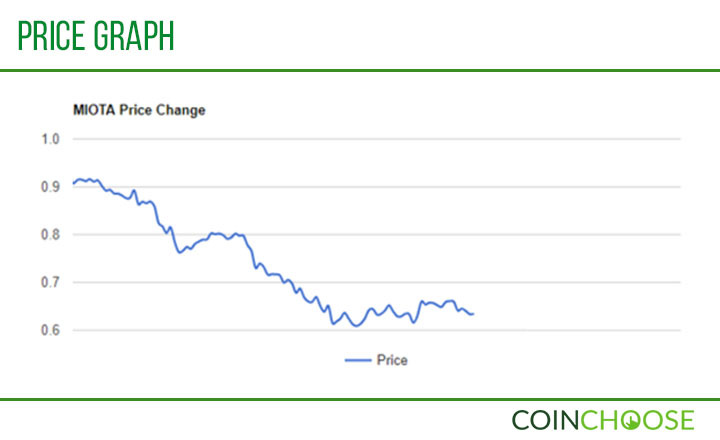 Most analysts agree that Bitcoin’s struggles have affected the prices of altcoins as well, owing to the fact that the coin is almost one-half of the entire crypto market. There is trouble brewing between developers and leading heads of Bitcoin Cash (BCH). A Reddit post made halfway through the week shared that Amaury Séchet, one of the pioneer Bitcoin Cash developers, was kicked out of the altcoin’s group on messaging application Slack. The one responsible for banning Séchet, Bitcoin Cash strategist Joel Dalais, explained that the developer caused a “disturbance” on the community. It is worth noting that Séchet once proposed implementing pre-consensus on the Bitcoin Cash network last July 20, which resulted in fiery discussions among community members and even among the developers. 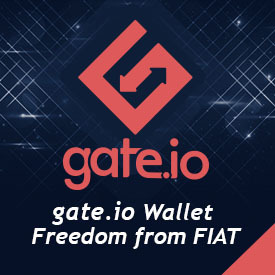 Observers online speculated that the ban was caused by differing opinions between developers and Séchet regarding pre-consensus. The hunch was supported by a tweet of one luminary and Bitcoin Cash supporter suggesting that anyone supporting pre-consensus could be easily replaced. The banning drew the ire of the Bitcoin Cash community as they saw the act as an unjust exercise of powers the developers have. The internal dispute might have also implanted uncertainty into Bitcoin Cash owners as the altcoin performed poorly in an already bearish market. The fourth biggest coin in the market—with a market cap of US$10.5 billion—lost more than 14 percent of its value in a span of five days. Bitcoin Cash opened August 6 with a value of US$711.01 before trading at US$604.93 against the US dollar. Bitcoin Cash is not the only community facing internal struggles. Chat logs have surfaced detailing an intense argument via Slack between board members and founders of the IOTA Foundation over membership nomination. The argument stemmed from the inclusion of IOTA (MIOTA) co-founders Sergey Ivancheglo and Serguei Popov into the IOTA Foundation board of directors. The two were set to be accepted into the board, but an incoming rule change has delayed their membership by more than four months. Transcripts showed that Ivancheglo wanted to speed up their nomination to the board, fearing that the issue would distract the members from potential problems that could be lying ahead. However, Board Chairman Dominik Scheiner rejected the notion of outright nominating them. He cited an agreement between current members to wait for the changes to take effect before electing both members. Shaky leadership has caused the end of many businesses, and observers noted that the trouble inside the IOTA Foundation could have dire consequences to IOTA’s price. In fact, the controversy could have disheartened IOTA holders as the altcoin lost a staggering 30 percent during the week. The 10th largest crypto—with a total value of US$1.7 billion—currently trades at US$0.63548, far from the one dollar-level it once surpassed just a year ago. Good news closes the week for Stellar Lumens (XLM) owners as a known European crypto trading platform has added the altcoin to its list of tradeable assets. Starting August 9, clients of trading platform Bitpanda can now buy and sell Stellar Lumens for fiat other digital currencies supported by the exchange, including Bitcoin Cash, Ethereum (ETH), Litecoin (LTC), and Ripple (XRP). However, Bitpanda has yet to allow storing Stellar Lumens on the exchange platform. The news could have saved Stellar from further losing value in the bearish crypto market. In most cases, reports of being listed in a known exchange could boost the price a coin in the market. While Stellar did not finish the week in the green, the altcoin performed fairly better than other coins in the top ten. Comparing graphs with other cryptos show that Stellar’s drop on August 8 was less steep. Stellar Lumens lost only nine percent of its value only behind stablecoin Tether (USDT) and Bitcoin—which lost six percent. 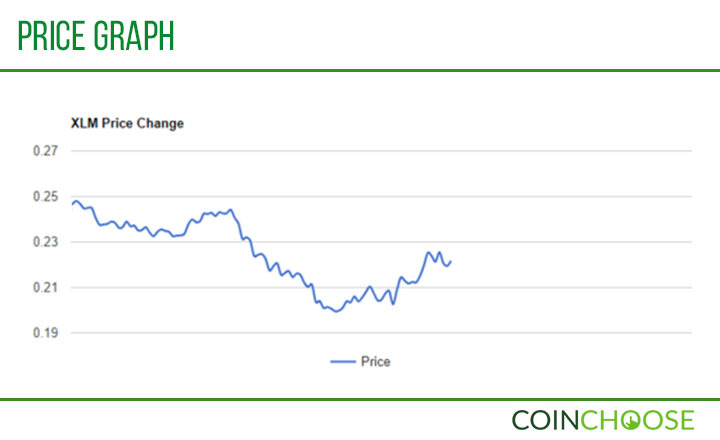 The sixth largest crypto worth US$4 billion welcomed the week at US$0.245017 before ending at US$0.222155.